Apologies to everyone for not updating recently. Where to begin? 1st: I’m alive! Everyone saw their respective doctors and we were all pulled from any more backpacking this year. I have a strained diaphragm muscle, which takes weeks to heal. Turtle has a fractured ankle. Yes, he hiked over 100 miles on a broken leg! So we’re both off trail the rest of this year. However…we want to finish the PCT next year! We’re so close! In the mean time, since I was still homeless, I purchased an RV to live in! Not a motor home, but since I already own a pickup truck I settled on a 27 ft travel trailer. It has two slide outs, which give it a spacious feel, and room for “Stuff”. I needed to haul my camping gear and other stuff with me since it its my home now. Being a “Full Time RV-er” has a learning curve! Simple stuff, like what’s my mailing address become complicated. There are a 1000 different little things to living the RV lifestyle and the complexity is in in the details. Plus, I purchased a new Trailer and I needed a zillion little things to make it livably and mine. It never ends. Overall, I’m happy with the purchase and have been sleeping in it for the last two weeks. Home…Sweet Home! I Like It! Hi Michael, Wow, awesome new purchase! It should help towards your recovery being able to roam at a moments notice. It’s a beautiful rig. Impressive trail efforts with great photos too btw! It looks like you’ve gathered photos from various devices. Are the crisp quality on trail shots coming from your iPhone 6 – or from another source? All photos from my iPhone 6+. Hi Michael, glad to hear you are not homeless anymore and pray for a quick healing of your diaphragm, also for Turtles’ ankle. 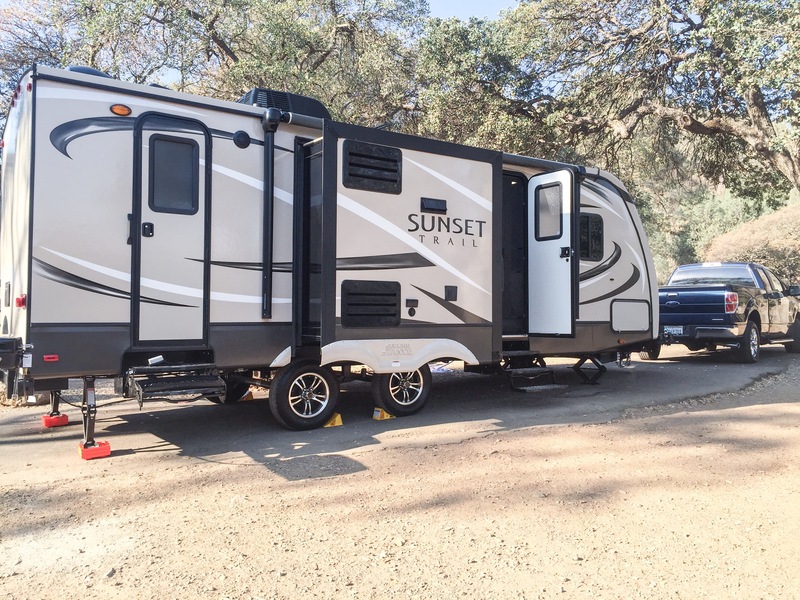 Your RV looks incredible and I wanted to offer some help, if you’re willing? I have a friend who is a fellow hiker and lives in an RV. He is an amazing source of knowledge and insight for RV’ers. Please don’t pass up the chance to check his website/blog (www.rvcafe.com) and ask any questions. He is super talented when it comes to RV’s, and a wealth of information. He know his stuff! I hope your find this useful? I wish you well, John from Lodi. Michael congratulations on your journey this year. What an accomplishment no matter what age. It was so interesting to be an arm chair traveler with you and read about your trek. Your Inspiring Heights friends have enjoyed the amazing ride! Glad you are healing up. Take care. Don M.
I’m so happy you two are doing better. Look forward to next year’s finish. Hi Michael: Steve and I are anxiously awaiting your arrival! It will be so glad to see you in person! Not that looking at you in “living color” isn’t great .. but oh for a big Mike hug! Love your now home. You always had a flare for style. Hi, I just found your blog and have enjoyed reading it. I hope you continue to post as you explore in your trailer–looks like the journey is only just beginning! Best of luck! Looking forward to seeing more post as lives go on until you hit the trail again. Maybe we will run into each other again, like did in Portland. If you’re ever in the the Ventura County area give one of the Pennocks a ring or e-mail. Great story written very well and inspiring.